Last week, Mexico’s top epidemiological official reported a rise in the number of cases of dengue hemorrhagic fever (DHF) throughout the Gulf coast state of Veracruz. The disease is moving towards Tamaulipas state and is getting closer to the United States border. The recent flooding in Mexico has been a factor in the increased number of cases, with some 1,900 cases and 16 deaths being reported so far this year. DHF was first recognized in the 1950’s and is a more dangerous version of dengue fever. DHF frequently requires those infected to be hospitalized, and if not treated properly, the fatality rate for DHF can exceed 20%. The CDC cites symptoms of DHF as similar to dengue fever, but ratcheted up to include persistent vomiting, severe abdominal pain, and difficulty breathing. Bleeding from the nose, mouth, and gums can also occur. As with dengue fever, there are a variety of medications used in the treatment of DHF. If detected early, it can be treated with fluid replacement therapy. As we reported in an earlier post, dengue fever is also on the rise in dozens of countries. Since our last post, we’ve discovered that Thailand, French Polynesia, Indonesia, Cambodia, Nicaragua and Venezuela all belong on the list. 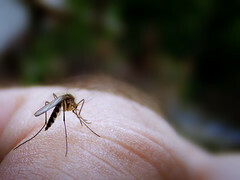 Dengue fever and DHF are both spread by mosquitoes, so travelers should do their best to protect themselves from mosquito bites. Symptoms begin about 5-7 days after an infected bite. DHF can be deadly, so it is important that travelers who suspect that they may have DHF see a doctor immediately. We will be keeping a close eye on this growing epidemic.